Looking for a Le Tote Review? As you can probably tell from my post title I REALLY have enjoyed my Le Tote subscription box so far. But is it super fun? Yes. So, what is Le Tote, you ask? 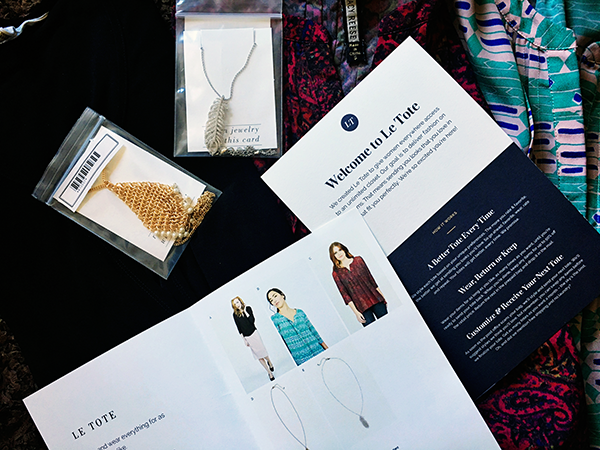 Le Tote is a monthly subscription box of women’s clothing. 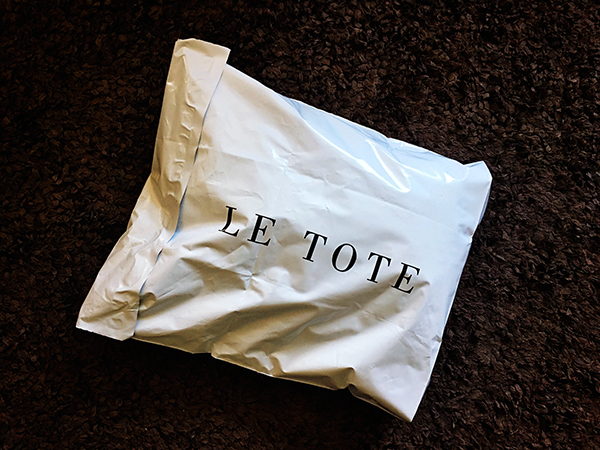 So if you enjoy shopping and wearing new to you clothes, then you are going to want to give Le Tote a whirl (especially because you can get your first box for FREE for two weeks at this link). I’ll admit, I’m not much of an in-store shopper anymore. This means I don’t buy new clothes all that often. 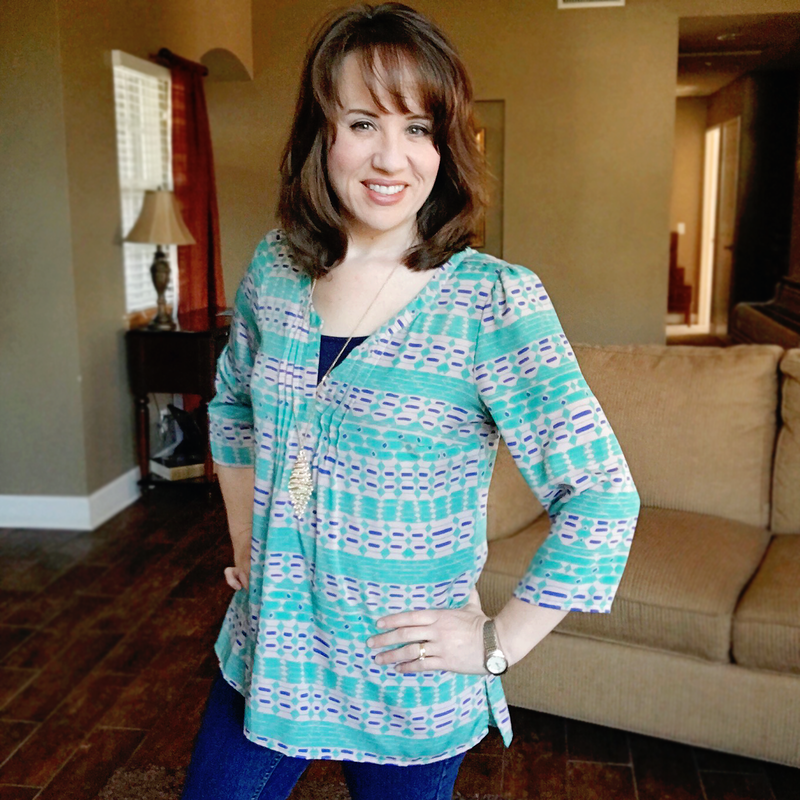 It is a saving for our family, but on the flip side, I get tired of my clothes and often don’t feel that cute (lol). New clothes always do make me feel cute and confident so the idea of getting a bunch of new clothes every month that I don’t have to keep past that whole “honeymoon” phase appeals to me. So when I had the chance to try out Le Tote for free, I jumped on it. And I’m thrilled I did. 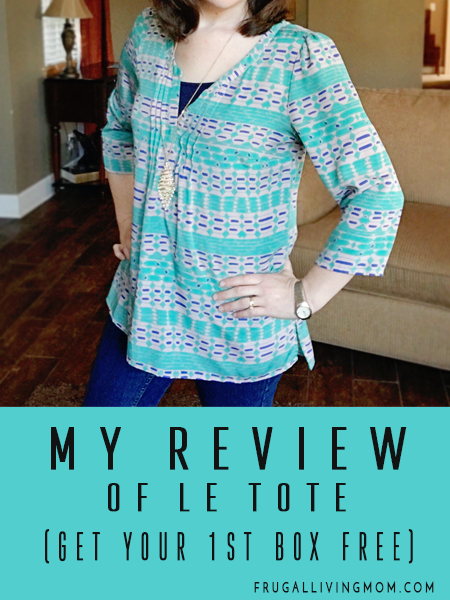 Onto more Le Tote Review! What the heck is Le Tote? Subscription box of rented clothing. How much is Le Tote? Starts at $59 a month (plus an optional $5 a month for insurance) and you can cancel anytime. Shipping is included to send and receive clothes. What You Get: Unlimited “totes” delivered one at a time that includes three clothing items and two accessories per month. You get to hand pick each item that is delivered! Am I locked in for a long time? No. 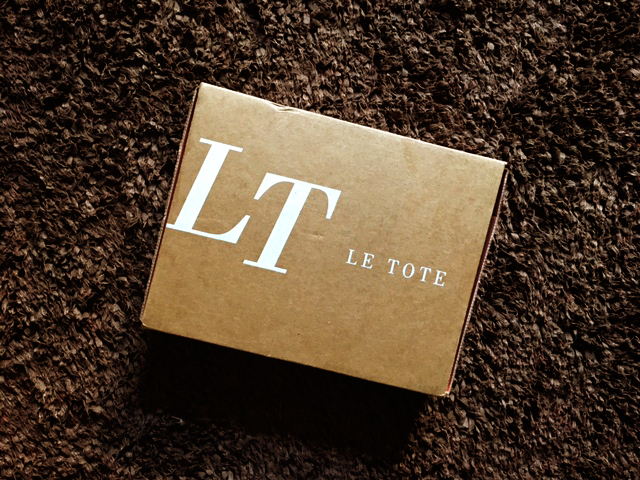 Le Tote is a month to month subscription. You can cancel anytime. Unfortunately canceling is not as easy as a click of the mouse but it appears that you can contact them here https://letote.zendesk.com/hc/en-us/requests/new. You can also put your account on hold for up to 2 months if you need a break. Can I purchase any of the clothes or accessories if I love them? Yes! One item in your box will even be available to you at a discount price. Just keep it and send the rest back and your credit card will be charged for the item. Do you have to buy the products? Only if you want to. Will I need to wash the clothing? Nope. Just send it back in the prepaid bag provided to you. It’s super easy. Just follow these directions. 1. Head to Le Tote and sign up for an account (it’s free). 2. Fill out a style profile. 3. Your free two-week box will include three clothing items and two accessories. (My box was styled immediately but I did not love the items. One of the best parts of Le Tote is you have full control over the items you receive as long as they are in stock. You can trade out any of your styled items for different ones. Note: After your free trial you have the option of three plans. There is also an optional $5 a month insurance fee (no matter how many boxes you receive in a month). Personally, I recommend doing this. I’d much rather pay the $5 a month than get a stain on a $70 shirt that now I have to purchase. Because living with kids, it’s a real possibility that something will get damaged at one point. Everyone is different; I find that the three clothing items and two accessories work best for me because you can send the box back at any time and get a new box (meaning if you are quick you can receive 2-3 boxes of new outfits each month.) Of course, this will depend on where you live and how long it takes to receive your box, but one of the cool things about LE Tote is once the post office scans your return bag Le Tote will style a new box for you right away. So after my 1st box, I had a second 4 days later. In all, there are about 16 pages (94 items a page) of clothing options. I found the variety to range from basic to trendy. 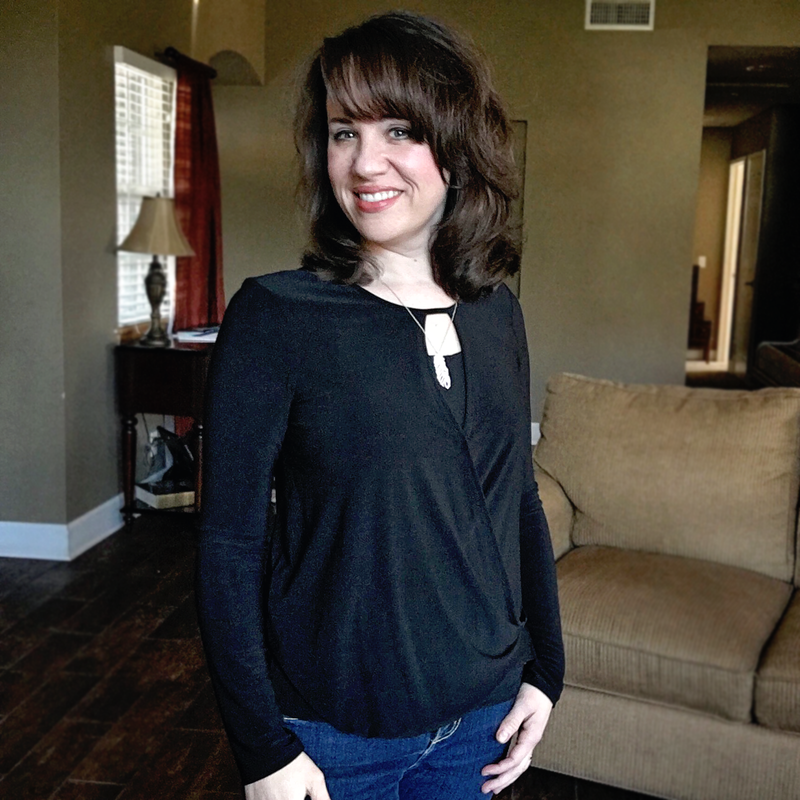 Personally, I liked being able to choose a few trendy items (because I tend not to be that trendy). 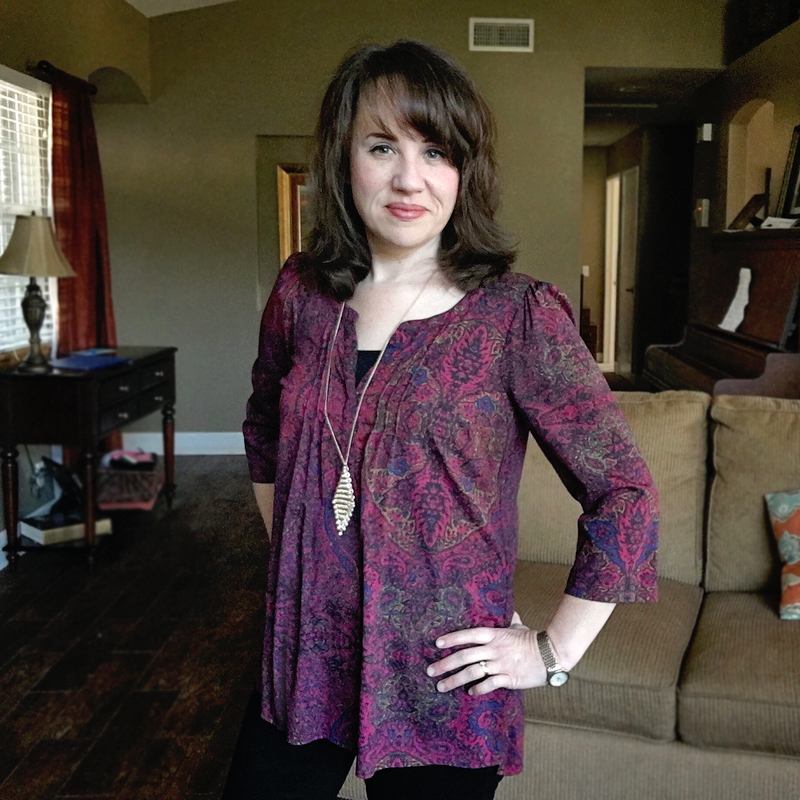 It gave me the opportunity to try clothes I never would buy otherwise. Overall? I didn’t see a lot of downsides. It is $59 plus $5 insurance a month, and I know that is expensive for some. For me, I feel more productive when I feel more confident. And new clothes make me feel confident. Some will not love that the clothes are basically consignment. I had no issues with this and the items I received looked new. I will say that the fit of all my choices was not perfect, but this is to be expected (because I pretty much never have an experience where all the clothing I try on at a store fit perfectly.) One way to cut down on this issue is to choose clothing that other wearers have uploaded a photo. This way you can see the item on a real body (not that the models are not real, but they tend to look different than the average woman.). Heck yeah! I love Le Tote so far. It’s fun and different, and I look forward to receiving my next box! 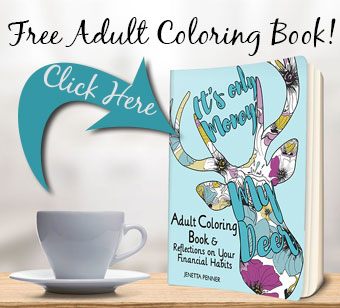 I doubt I will do it forever but it’s great for a small splurge and something new. trial of Le Tote here.